This year, I am participating in the Allied Artists of America 97th Annual Juried Exhibition. 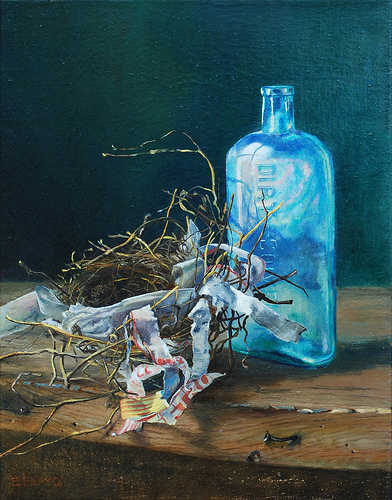 My painting, Still Life with Bird Nest and Bottle, will be part of this exhibit, on display from November 12th through November 30th at the National Arts Club. Please stop in to show your support for this historic art institution, and for the talented artists chosen for this year's event. The National Arts Club is located at 15 Gramercy Park South in Manhattan, and is open M, W-F 10-12pm & 3-5pm, Tues 2-5pm. Hope to see you there.